"We're committed to quality from the ground (or in this case waist) down. That means we use fine breathable cotton in our boxer shorts, and that means all day comfort (and basics that are anything but)." 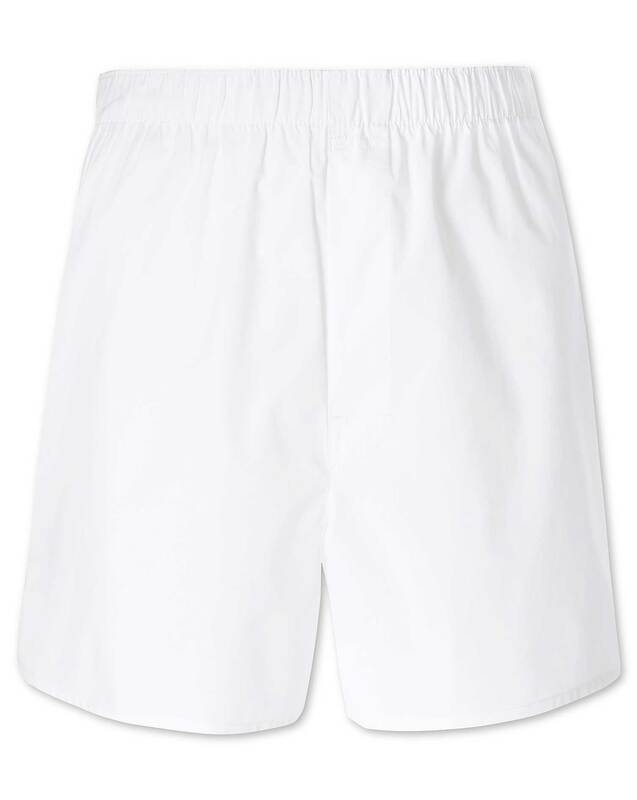 "Pure quality cotton makes these boxer shorts soft, breathable and comfy." I apologise if it's too much, but a whore can turn out to be a death defying stunt for the devils, and this date just won't attract me. For purpose until it's done, I'll have to get all sort of security to make it safe. That's right, I'll talk about it to my trustworthy personnel. Perfect fit, very comfortable, dazzlingly white. Quality is now very poor. Response from Charles Tyrwhitt: As quality means a huge amount to us here at CT, it's awfully disappointing to see your comments here. Nevertheless, we appreciate you voicing your concerns and we will ensure these are forwarded to the Quality Control Team accordingly. You are welcome to return these boxers to us if you wish, as under our no quibble 6 month guarantee you are fully covered. Did not understand that the product was a thin smooth cotton, rather than something thicker as previously obtained in an earlier order of boxers. Could not find information on site which might have explained that. That informationt could have been there, but I looked and could not find it. Response from Charles Tyrwhitt: Thank you very much for your feedback on the boxers, although it's certainly a shame they were not quite as expected. I will ensure our Web Team receive your comments and look into better describing the construction of them. As with all our products, you do have our no quibble 6-month guarantee to fall back on should you wish to return them to us for an exchange or refund.